Am I the only one who gets the urge to do some decluttering, organizing, and scheduling when Back-to-School season hits? 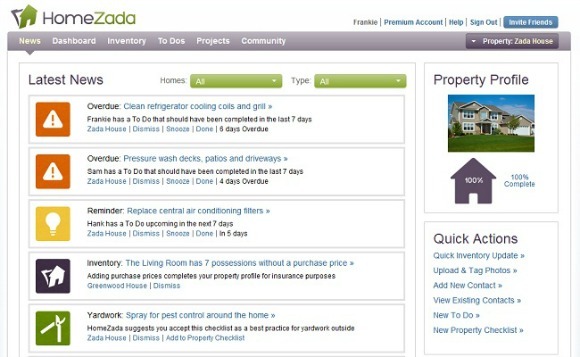 My newest sponsor, HomeZada, is a really cool online and mobile software program that allows homeowners everywhere to organize and manage their homes. Membership for the standard Essentials is FREE, but HomeZada is graciously giving away a year membership of Premium features to one Serenity Now reader. Keep reading to learn more about HomeZada, to enter the Giveaway, and to get your own coupon code! An online resource to help homeowners manage all the data about their homes on a safe and secure site--it's one central hub for your home! You can manage home inventory, maintenance calendars (and associated to-dos), as well as the planning and financial aspects of home improvement and decorative projects! Why am I excited about using these features? They have a mobile app to make managing your home on the go easier. I'll use any excuse to play with my iPhone! Joking aside, we had a huge storm called a microburst blow through last month. It was bad enough that we had to stay in an interior hallway (no basement) while the storm passed, and our shed roof was crushed. I realized after the storm that we have no records of the valuables in our home! So many people use the internet to store their photo files for safekeeping...why not take advantage of a (free) opportunity to keep a careful record of family heirlooms and other valuables? Keeping track of maintenance and to-dos online (and on my mobile!) seems doable. I can make my own schedule and updates as flexible as I want/need. HomeZada actually has a very inspiring set of boards on their Pinterest profile. I saw all kinds of neat ideas for home maintenance, and tons on great ways to update and decorate! Using the bookmarking app, you can save your home decor or maintenance shopping choices and add them to a special budget on the site! Discount alert! Between now and September 15, 2012, you can get 50% off a Premium membership. Head over to sign up and be sure to use the code serenity to take advantage of the discount. 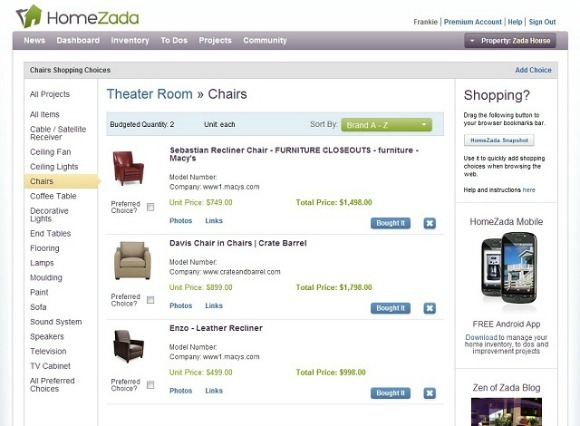 *HomeZada has a FREE YEAR PREMIUM MEMBERSHIP for one reader! Sounds great! I am all for home organization for sure!! Would love to win this, what a great site! LOVE organizing!! Thanks for the giveaway! I was just reading about this and deciding whether or not I wanted to sign up! Thanks for the giveaway :) May make my decision a lot easier! Hi Amanda! Wow could I use this! Thanks for the opportunity! ummm yes please! I would love to set this up on my hubbies phone to remind him to change filters etc then his phone could nag him instead of me! I think the home inventory and the home maintenance scheduler are great ideas! Wow...so many great features! I like the home maintenance feature. Great way to keep track of what needs done and when! Thanks for this giveaway! I love that both my hubby and I can access the info! I like the home inventory feature. i think that would be great to try out. I love the yearly maintenance feature! Thanks for the giveaway! Budgeting and tracking project expenses. I love that the program allows you to plan projects and track expenses! How helpful!